The following is a list of winners from The Crochet Crowd. 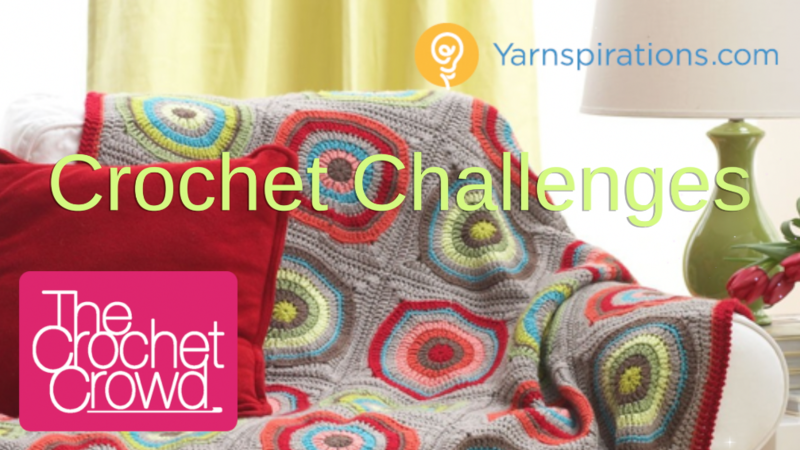 This list was started in January 2013 when the first official crochet challenges began. November 2013 – Spinrite Factory Outlet Yarn Giveaway, Lauralyn Fast, British Columbia, Canada. January 2014 – Spinrite Yarn Giveway, Barbara Alsup, California USA. Jan 2014 – Crochet Along with Red Heart, Pam Myers of New Hampshire USA. Tangled & Stranded Random Winner – Pamela Jones of Douglas, Maine. Tangled & Stranded Random Winner – Kelly Wilson of Hamilton, Ontario. The Crochet Crowd, being Canadian, has always been about being inclusive. Due to International Laws with country, territory, state and provincial regulations. We can no longer offer prizes with our challenges and be inclusive to all members of The Crochet Crowd. The restrictions prevents us from being able to offer prizing to our entire community; therefore, we have eliminated our prizing element to be fair to everyone. Our challenges are about doing a fun project together as a community and learning new skills. We do not want to discontinue the free learning aspect and community vibe that we have created. We will still continue doing our challenges and acknowledging the creativity throughout the challenge period. The true prize is the community element and having a finished project worthy of celebration. Every time I enter I’m told I gave an invalid email!!!!!! To everyone connected with The Crochet Crowd you are all Awesome! How about I share a Thank You!! and Much Appreciation to ALL of you for all the work they put into making these challenges for all the Hookers and Knitters. You all /ROCK!! Hi Just wanted to say that was my first Challenge. Also first real crocheted anything. Loved the vedio’s and graphs they got me through it. I would like to know who was the winners, I’ld like to go see their afghans. I just received a crochet crowd mug, scissors, and some yarn. Many thanks! I will enjoy. Now what should I crochet with my new yarn? Thank you, thank you…i am so happy!!!!! I wish you would do up a photo set of all winners of the challenges. On this or on facebook. Thanks and love what you do for the group. and possibly show the result of the randomizer as well so we can all see who it chose. Mikey why not let everyone a Sponge bob Bowl, not like the container but a bowl that they can use for plants anytime of the year and it has to have Spongebob and his friends on it. I haven’t seen one Sponge bob on the Basket weave challenge yet. I don’t understand your thought here? The challenge is over. Please let me know if my pic went in for the basket weave challenge,@ Lorijean Raissis/Resurrection. Thanks! Please get back to me. At stkkjjljcljll7799@gmail.com or stkkjjljclj2008@yahoo.com. Challengers can check the gallery if they prefer. Gallery is in alphabetical order. TY Mikey!!! I enjoy all you do!!! I am the last prize winner in your list. Would you mind changing my country to Canada? Saskatchewan is in Canada not the USA. Thank you.